Mon, April 22, 2019 1:00 P.M. This group is a great way to practice speaking everyday English. ALL are welcome. Mon, April 22, 2019 6:00 P.M. Learn how to speak English! Rolling admission/Walk-ins welcome! Taught by IndoChinese American Council. For more information, please call 215-457-0272 x. 108. Mon, April 22, 2019 6:30 P.M.
Mon, April 22, 2019 7:00 P.M. 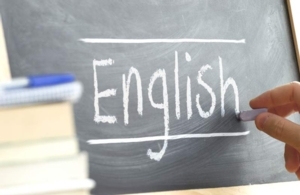 Chestnut Hill is offering a free English as a Second Language conversation and grammar group for people who want to improve their English Language skills. This class is every Monday and all are welcome. For more information, please contact the library at 215-685-9290. Tue, April 23, 2019 12:30 P.M. Wed, April 24, 2019 12:30 P.M. Wed, April 24, 2019 6:00 P.M. Wed, April 24, 2019 6:30 P.M. 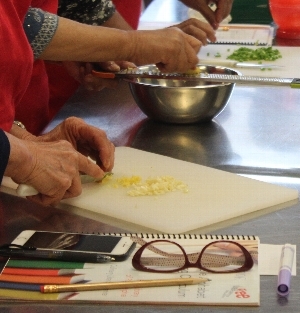 Edible Alphabet - Learning English Through Cooking! Fri, April 26, 2019 9:15 A.M. Sat, April 27, 2019 11:00 A.M. Sat, April 27, 2019 1:15 P.M.
Mon, April 29, 2019 1:00 P.M.
Mon, April 29, 2019 6:00 P.M.
Mon, April 29, 2019 6:30 P.M.
Mon, April 29, 2019 7:00 P.M.
Tue, April 30, 2019 12:30 P.M. Wed, May 1, 2019 6:00 P.M.
Fri, May 3, 2019 9:15 A.M. Sat, May 4, 2019 11:00 A.M. Sat, May 4, 2019 1:15 P.M.